You have arrived at the summit. Allow your eyes to sweep across the crystal blue waters of Canyon Lake to the hills above and finally rest on the beautiful Texas Hill Country horizon. Let your cares and the stress of the city melt away as you begin to breathe in the pure joy of exclusive mountain top living. 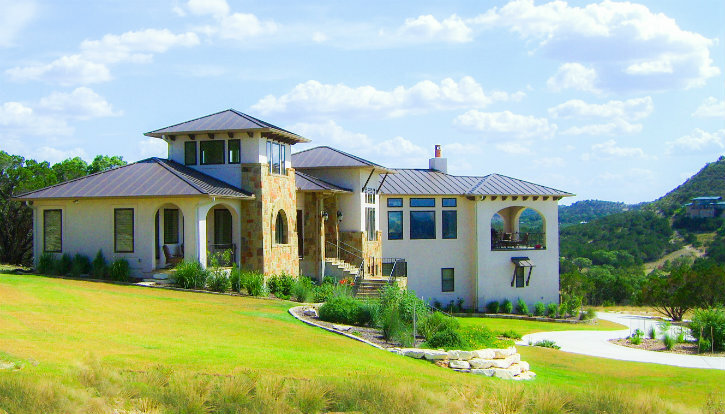 First Mountain community provides magnificent panoramic vistas of Canyon Lake’s clear blue waters and unparalleled views of the undulating hills and limestone bluffs of the Texas Hill Country. This development boasts the highest elevation of a gated residential lakeside community on Canyon Lake. Enjoy the exclusivity and security of living on your choice of a one to five acre homesite in a master planned gated community of less than fifty homesites. It’s the perfect location for your weekend getaway, primary or retirement home. Transcend ordinary living. Wake each day to the beauty of First Mountain. 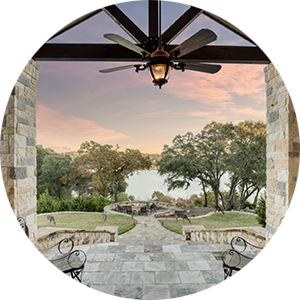 First Mountain on Canyon Lake combines the very best of lakeside living with the most sought after panoramic vistas of the Texas Hill Country. 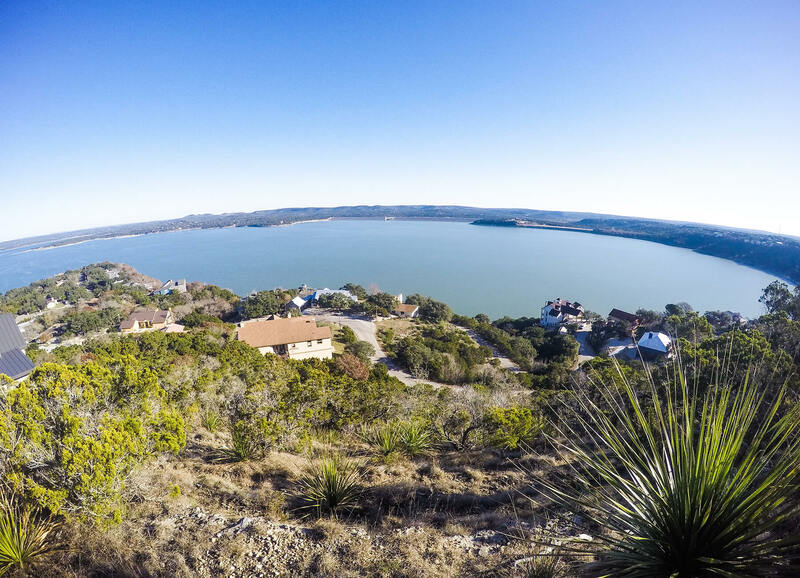 Unlike other communities in the Canyon Lake area, First Mountain is located on its own private mountain, providing the highest elevated views of any gated community on Canyon Lake. 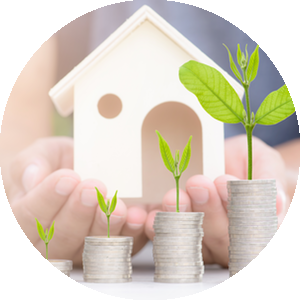 It is a sustainable community using green land development principles to manage natural runoff, provide wildlife corridors and preserve open space. First Mountain, home to less than fifty homesites, offers stunning lakeview and hill view homesites ranging in size from one to three acres. Relax, knowing that excellent architectural controls are in place to preserve the natural beauty and scenic mountain top vistas surrounding your homesite today and in the years to come. 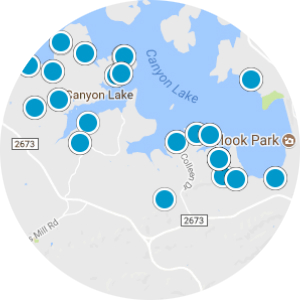 With the entire community gated, First Mountain on Canyon Lake provides security and peace of mind to its residents. 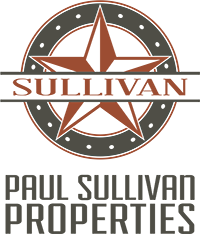 Use one of our preferred custom home builders or choose your own builder to make the home of your dreams a reality. Designed with the lifestyle of a modern family in mind, this master planned community provides the most sophisticated communication access available with fiber-to-the-home, HD cable television and high speed Internet. Underground utilities and central water complete the city conveniences of this luxury rural development.